I was well and truly spoilt this weekend! 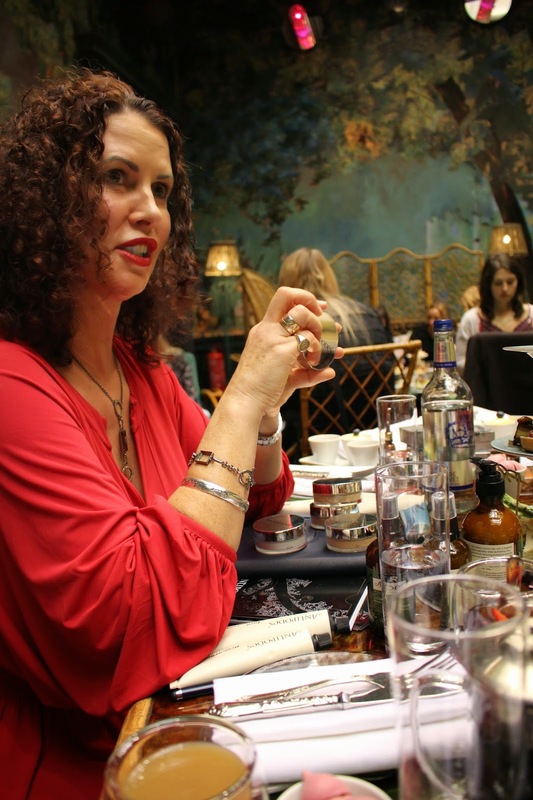 With Fashion Mumblr not even a year old, I still get hugely excited by any blogger event invitations, so to be invited to an intimate afternoon tea with the founder of Antipodes was such an honour. The New Zealand based skincare company is known for their certified organic products – meaning that 100% natural ingredients are used, and are cultivated in a sustainable way. For me, the sign of great skin care is in the results – and Antipodes products always deliver on their promises. 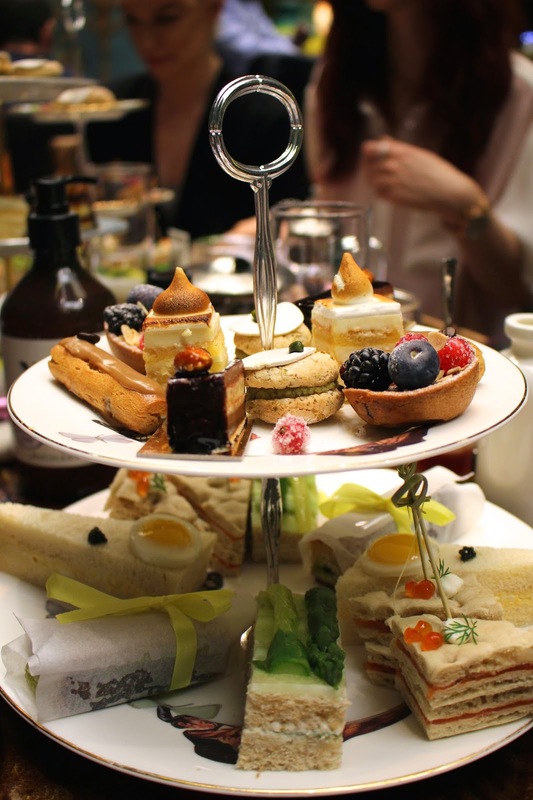 The Blogger’s Afternoon Tea was held in Sketch – a very cool, arty venue just off Regent Street. We were seated in the Gallery – which quite aptly is woodland nature themed, with antler chandeliers and mystical forest wall paintings. Elizabeth Barbalich, the founder of Antipodes (below, in red) talked us through her inspirations for the products and what motivated her to form Antipodes. She told us that she was looking for a premium skin care company that would use organic ingredients, and she spotted a gap in the market. The inspiration for the products draws from science – with a strong scientific background, Elizabeth understands the importance in scientifically validating the organic products. Even the unique forest-like packaging for the products was inspired by Elizabeth’s view from her bedroom window – the leafy woodland of New Zealand. It was great to meet some of my favourite bloggers, opposite myself is Suzie from Hello October, and next to her Lucy from Bonjour Luce, then Meg from Wonderful You and Zoe of Zoe New Love. We had lots to chat about, from forcing boyfriends to take blog pictures for us, to the ridiculously exciting egg toilets at Sketch! As if afternoon tea wasn’t enough of a treat, we were also given a box of Antipodes products to try out. The premium skincare brand has recently launched their mineral foundation powder -it’s SPF 17 ( I LOVE how precise this is! ) and has been scientifically proven to improve skin condition. 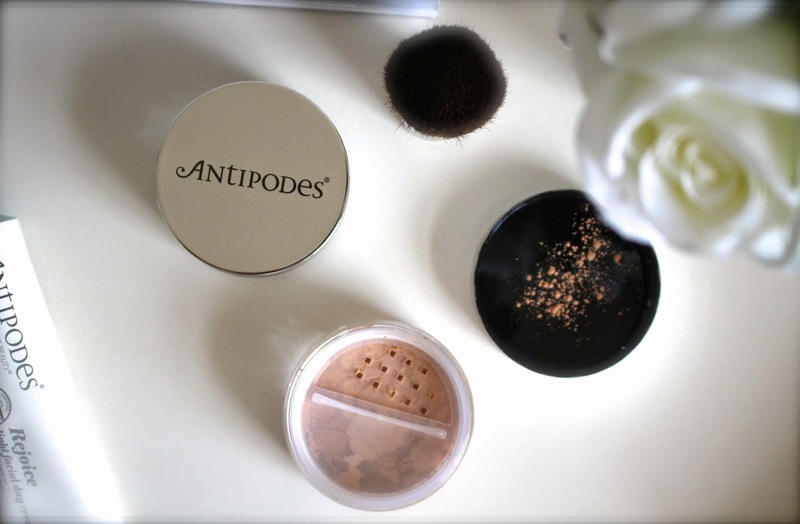 Although my skin is oily, I find it really tricky to apply powder foundation in the mornings and prefer to use it to top up throughout the day, but after seeing Elizabeth try it out on Sophie from Octane, I can’t wait to try out the Antipodes powder. We were also treated to a light moisturising day cream (which i’ve been using each morning since the event and am LOVING so far! Review soon!) as well as a selection of serums and creams. I applied the Hosanna Skin Plumping Serum before bed on Saturday evening and have to say that there was a noticeable reduction in my red blemish areas the following morning – coincidence it may be, but i’ll be sure to keep using this one to find out! 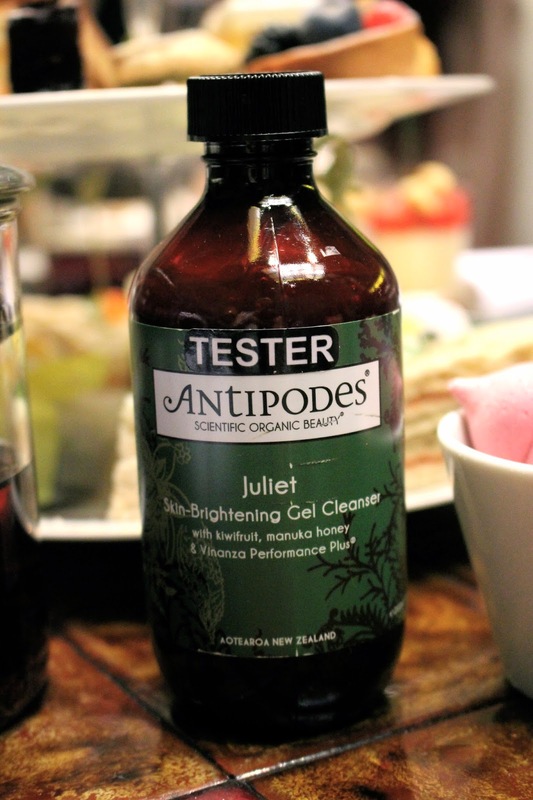 So thank you Antipodes for a fabulous afternoon, and I can’t wait to try out all of the goodies – watch this space for the reviews! 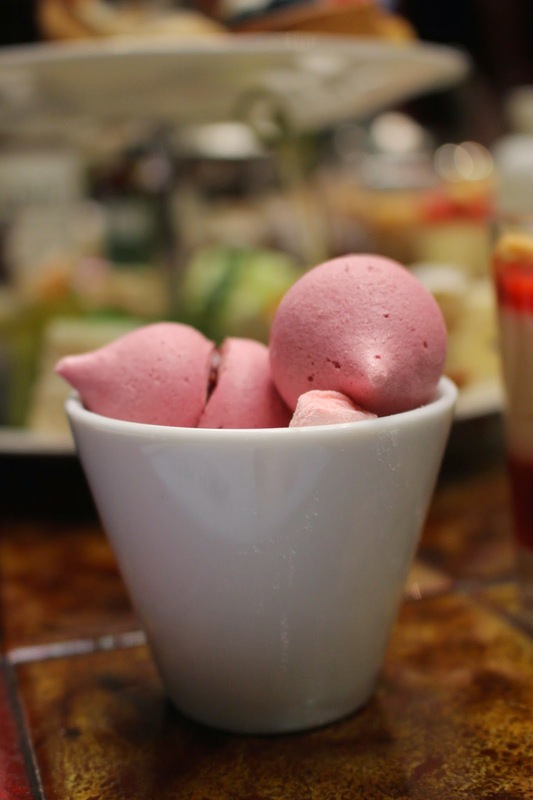 Have you tried Antipodes before? What are your favourite organic skincare products?